Victoria Cross winner David Lord is born in Cork. Lord was killed at Arnhem, Holland and posthumously awarded the Victoria Cross for his actions in piloting a Dakota during resupply operations. 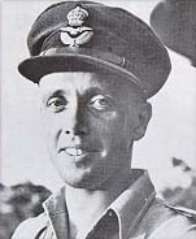 Lord was killed at Arnhem, Holland and posthumously awarded the Victoria Cross for his actions in piloting a Dakota during resupply operations.